This davit is the highest quality, easiest to install, simplest to use davit system on the market. 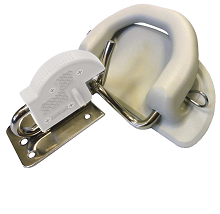 The Quick Snap Davit System is for Inflatable Dinghies and fits most popular inflatable dinghies, both hard and soft bottomed. Mount it directly to your swim platform, where it holds the dinghy securely and tightly against the swim step, making it easy to get in and out, or to transfer equipment. The dinghy then rotates out of the water for easy storage and no towing. Easy grip design for simple one-hand operation. Convenient integrated handles in the mounting pads help entering, exiting, and maneuvering. 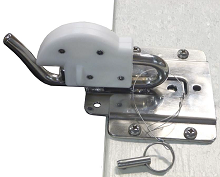 Provides safer entry to and exit from your inflatable dinghy. Fully compatible with other snap davit systems. Sleek modern styling. Solid stainless and UV resistant composite construction for many seasons of trouble free use. No loose parts to drop in the water. and all hardware, fasteners and instructions. For inflatable dinghies up to 175 lbs total weight (79 kg) and up to 11 feet (3.3 m) in length. 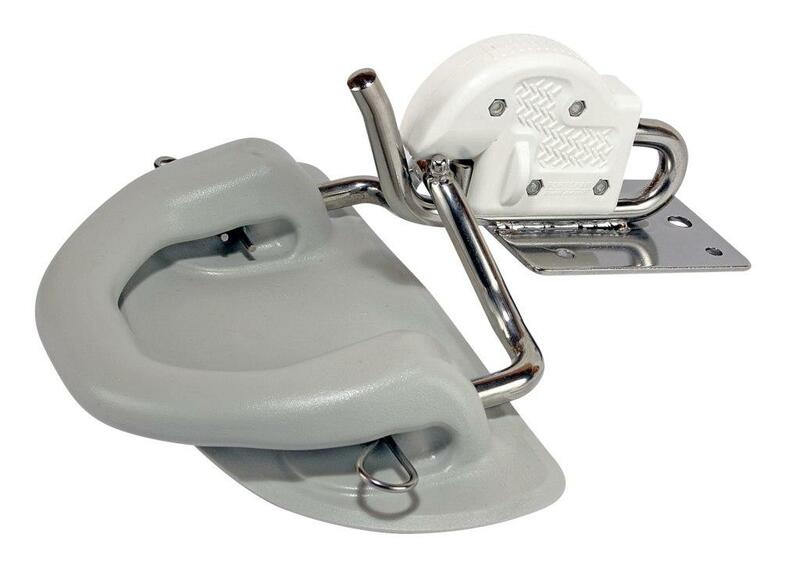 Fully compatible with Weaver mounting kits, davit heads & dinghy pads. Optional fast mount "quick disconnect" kit available also. See it here. For swim steps with a highly curved outer edge, you can use the PDF form above (near pictures) for an exchange/upgrade. It is very important that you allow sufficient time and strictly follow all installation instruction steps to properly install the dinghy pads. Otherwise, we recommend taking them to a professional installer. For Full Installation instructions, Adhesive only instrucitons, or Davit Offset Modifications & Adjustment Form, see above near pictures.